Over 30 KM of Cross Country Ski Trails. Michigan’s Western U.P. 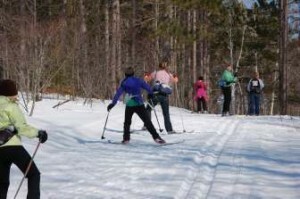 offers over 100 KM of Cross Country Ski Trails. Pisten Bully groomed for skating and diagonal striding, and backcountry ski/snowshoe trails of varied terrain.